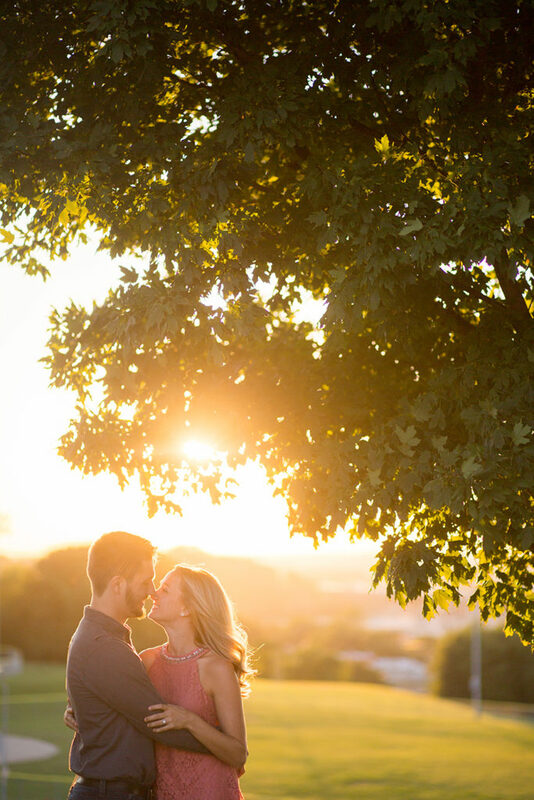 Amanda and Kyle were both born in Missouri and that’s where their engagement session took place. They both have such a competitive spirit and are both coaches at schools in the same district Amanda grew up in. This is actually how they met. Amanda (the dance team coach) was encouraged by her dance team girls to meet coach Cahill. She eventually did and the rest is history which inevitably led them to me. 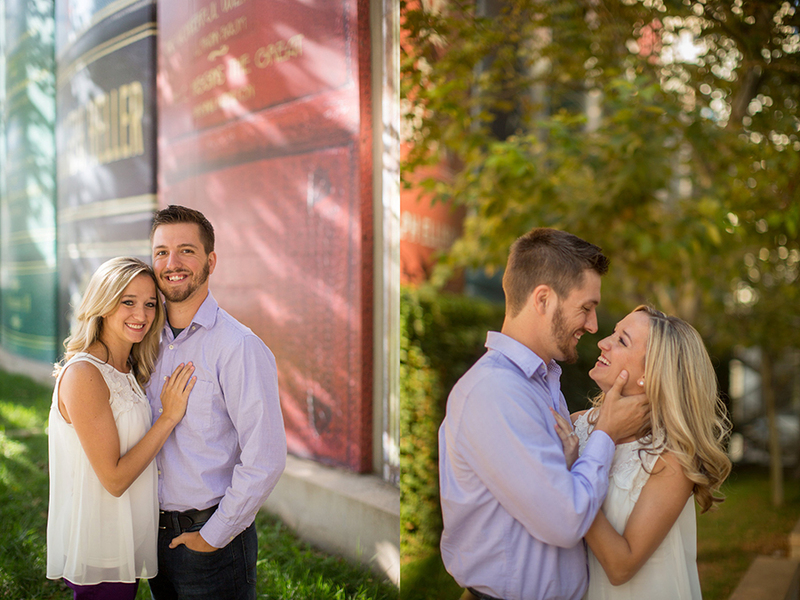 We started their engagement session in Kansas City at Kansas City Public Library Downtown. Since they both are teachers this was the perfect place to showcase their love of learning and each other! 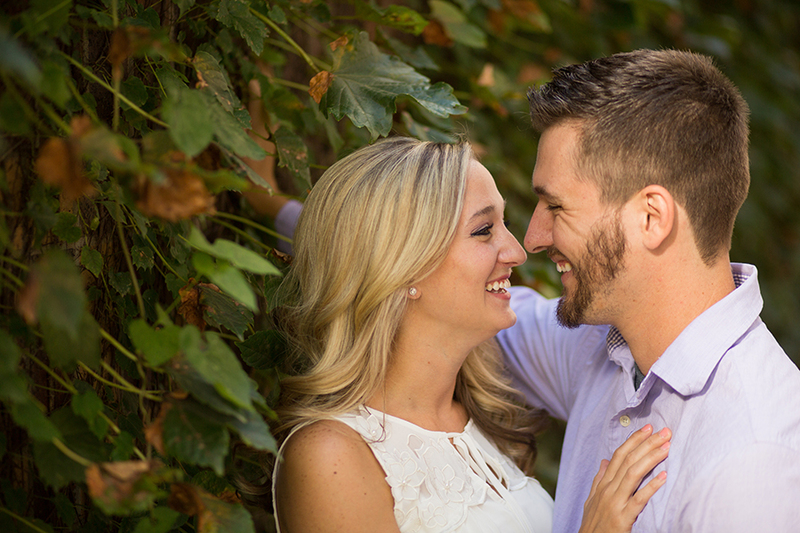 Amanda and Kyle have an amazing respect for each other and had no problem showing affection for each other which always helps the session run smoothly. 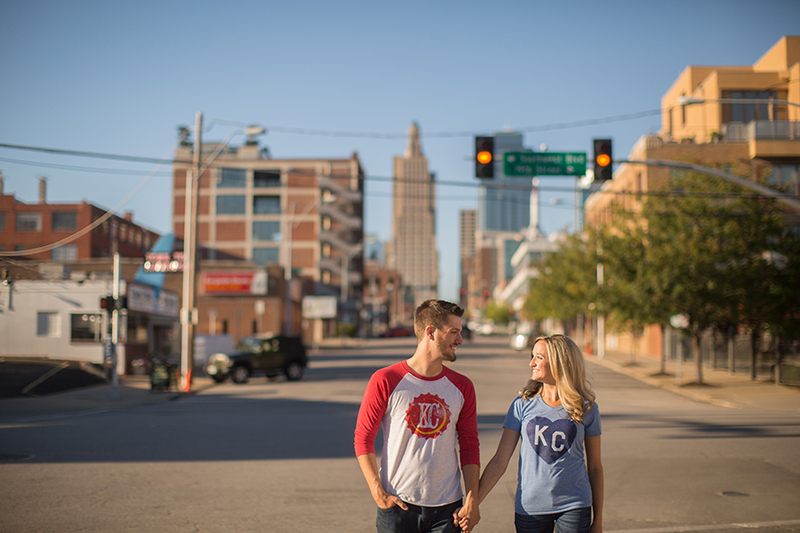 Next we headed to the Crossroads District which is truly one of my favorite locations in Kansas City. 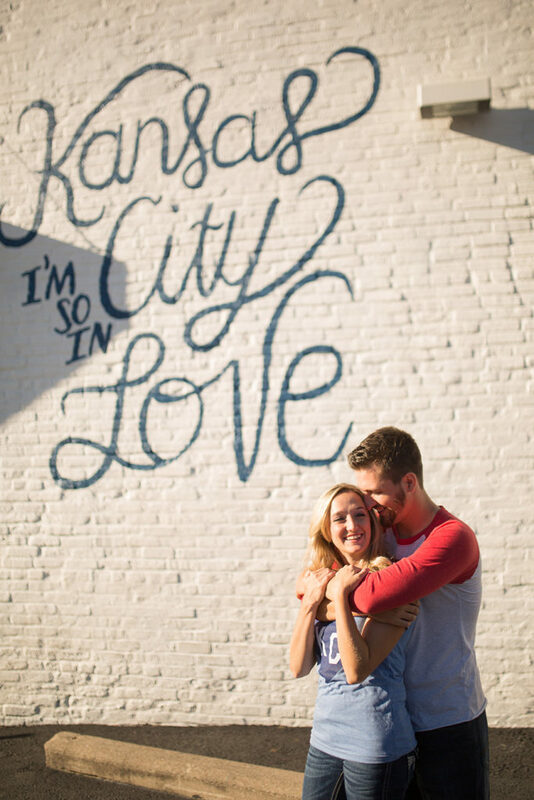 I love the inscription on the brick building and it is just perfect for engaged couples! 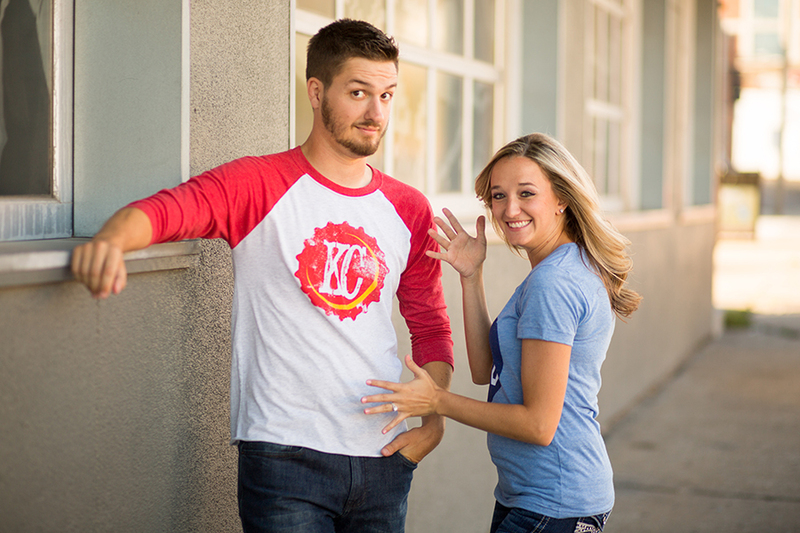 You can tell that this pair is “so in love” not only with Kansas City but with each other. 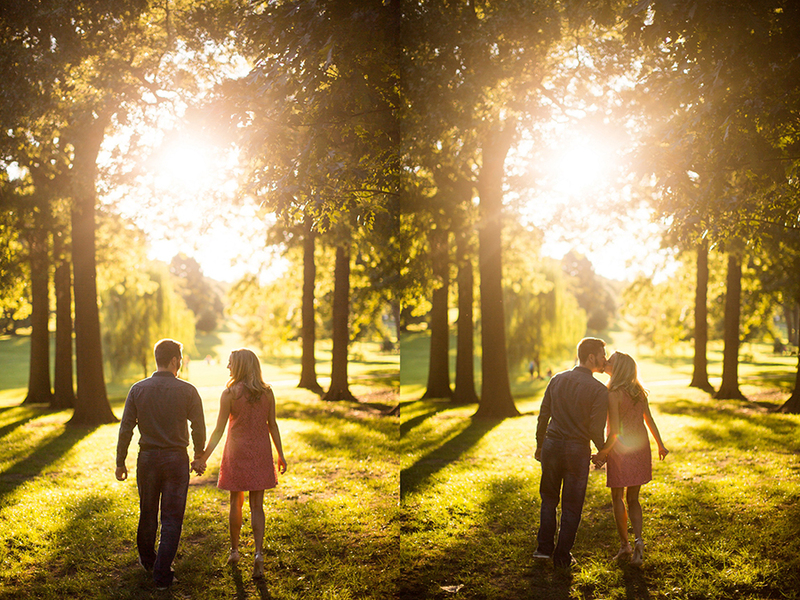 Next we headed to Loose Park where Amanda and Kyle dressed up a little bit. I love when a session includes all different ranges of attire because it really showcases who they are and their personalities. 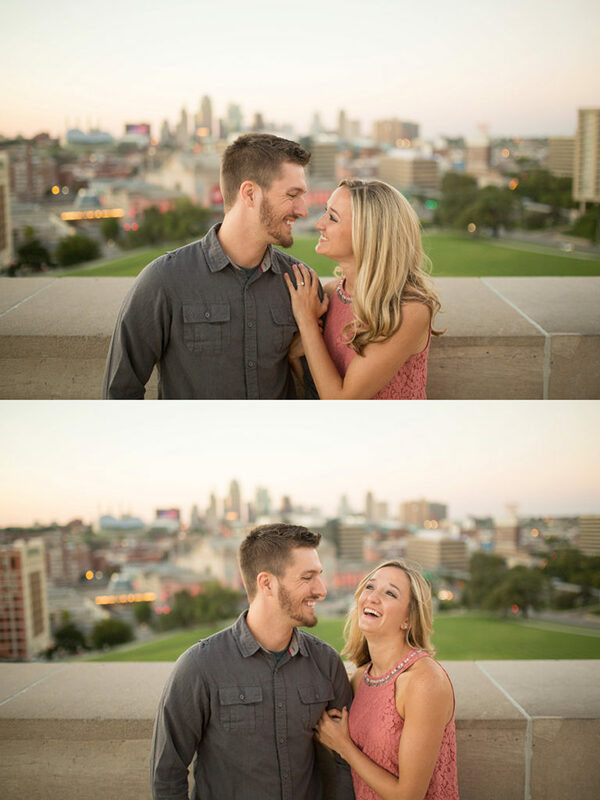 This couple does love sports and competition but they also clean up nice. We even used some props that Amanda brought. We finished up the session with a perfect sunset/city backdrop at Liberty Memorial. 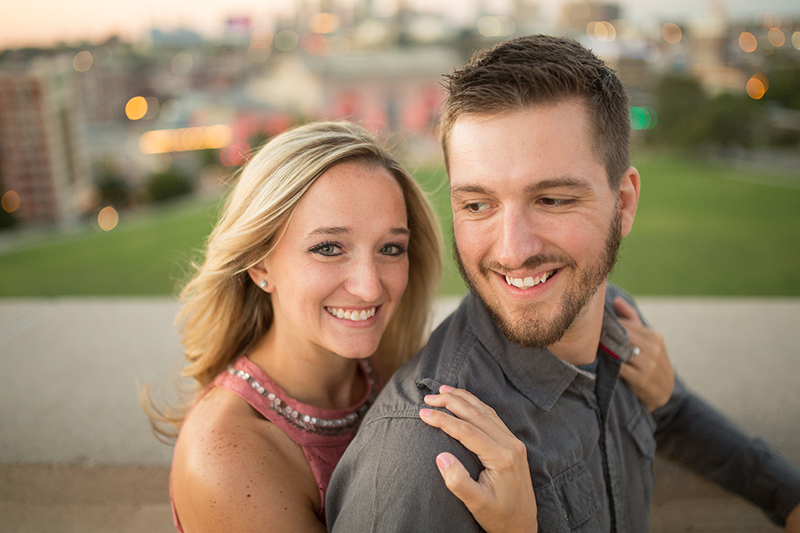 I really enjoyed the time I got to spend with Amanda and Kyle and appreciated the time we got to get to know each other. 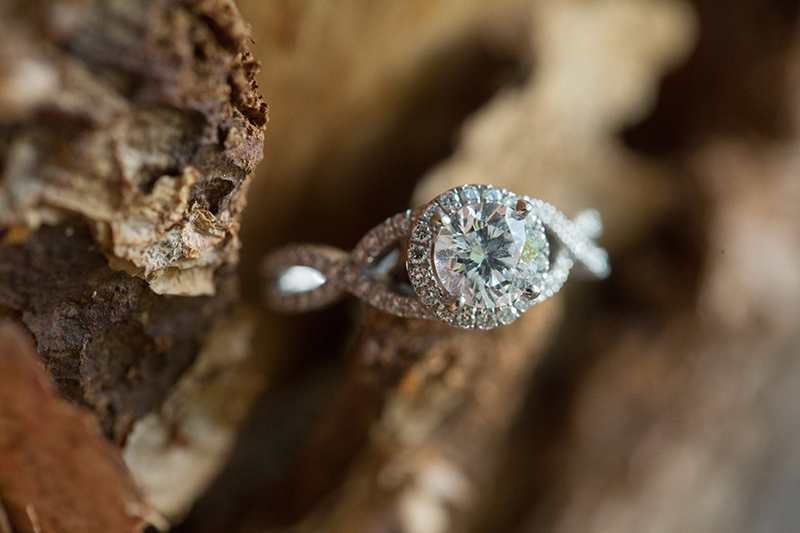 I can’t wait to meet the rest of their families and friends at their big day!